PLAINFIELD, Vermont — When Justin Cote and his partner started a vegetable farm six years ago, they landed an important and presumably reliable early client: Nearby Goddard College would buy all the Chinese cabbage they could grow. Goddard remains a significant customer for the two-acre Flywheel Farm in Woodbury. But there has been high turnover in the college’s kitchen since the institution was put on probation by accreditors in the fall because of financial challenges. At least 22 private, nonprofit four-year institutions have closed since 2013, and 16 have merged. “It always feels like it could just evaporate at any instant,” Cote said, softly snapping his fingers. The financial problems — and wholesale shutdowns — affecting an escalating number of colleges and universities touch not only students, faculty and staff but also local economies, often in rural places where they are among the most important employers and consumers. Vermont, for instance, has the greatest number of higher education institutions per capita of any state, according to the Vermont Higher Education Council. “It’s going to be a rebalancing of economic prosperity,” Gallup senior economist Jonathan Rothwell said. He noted the trend of colleges closing and the resulting effects on surrounding communities could parallel the impact that declining manufacturing had in some areas. Higher education in the United States is a $364 billion-a-year industry, according to the U.S. Department of Education, with nearly 4 million employees. The sector further contributes in rural areas by not just bolstering the local job market and spending money, but by attracting people to settle in places they likely would not otherwise go, Rothwell said. But many private colleges are under financial pressure as expenses rise and overall enrollments decline amid shifting demographics, rising tuition and changing student tastes. At least 22 private, nonprofit four-year institutions have closed since 2013, and 16 have merged, according to the National Association of Independent Colleges and Universities. So far this year, another Vermont institution, Green Mountain College, announced that it will close. Hampshire College in rural central Massachusetts is looking for a merger partner. Mount Ida College in Newton, Massachusetts closed last year, leaving 280 faculty and staff and 77 contract employees without jobs. Newbury College in Brookline, Massachusetts, will cease operations at the end of this semester after it, too, was placed on probation by accreditors because of financial problems. Goddard shut down its traditional residential program in 2002, also amid financial difficulties, and enrollment in its remaining on-campus programs has declined from 804 in 2010 to 409 this year, the college says. The school was put on probation by its accrediting agency in the fall because of concerns over its financial resources, organization and governance; if it were to lose its accreditation, students would no longer be able to use federal financial aid there. Even now, however, the college remains an important local business, with 60 employees on its Plainfield campus, according to a spokesperson. That makes it one of the largest employers in the town, whose population is less than 1,300. Though it pays only a small amount in property taxes — like other nonprofit colleges that can’t be taxed — it contributes in other ways, such as by paying one-fifth of the municipal wastewater bill. Other expenditures directly support nearby businesses. 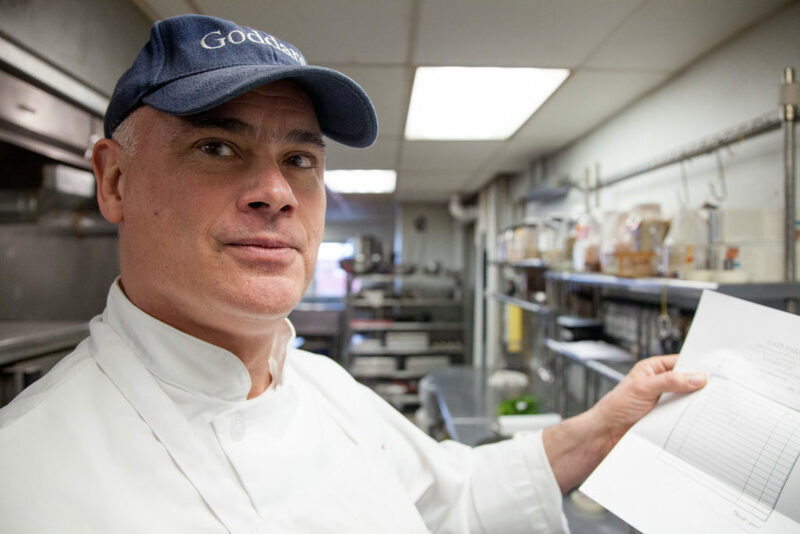 The college buys $100,000 a year worth of food, according to its executive chef, Jon Hilyard; much of that, he said, he tries to find locally. 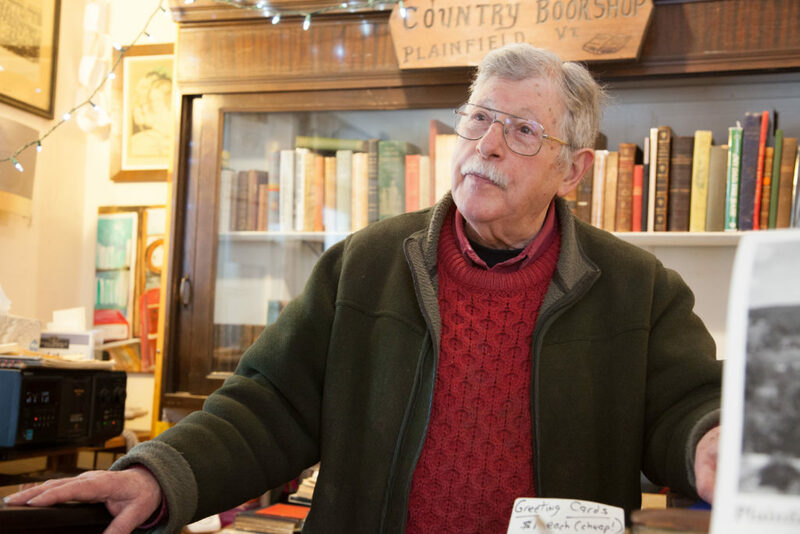 The Country Bookshop, one of a handful of businesses in Plainfield, sees more foot traffic when Goddard students are on campus, said owner Ben Koenig, whose immense collection is crammed floor-to-ceiling into the labyrinthine ground floor of an old clapboard house. A Goddard alumnus himself, Koenig doesn’t track the portion of his sales directly linked to the college but said the school’s presence helps his business. “I would hate to see them close, and it would have an effect,” said Koenig. Diana Batzel, co-owner of the Marshfield Inn & Motel, a few miles up the road from Goddard, said the loss of the college would be a hit that would send ripples into the economy. For example, fewer guests would mean the inn buys fewer ingredients from local farms for its breakfasts, such as eggs and maple syrup. Where colleges don’t survive, communities are left with job losses, empty campuses, and questions about long-term economic prospects. “It kind of has a web out to a lot of other little things that you wouldn’t even think about,” Batzel said. 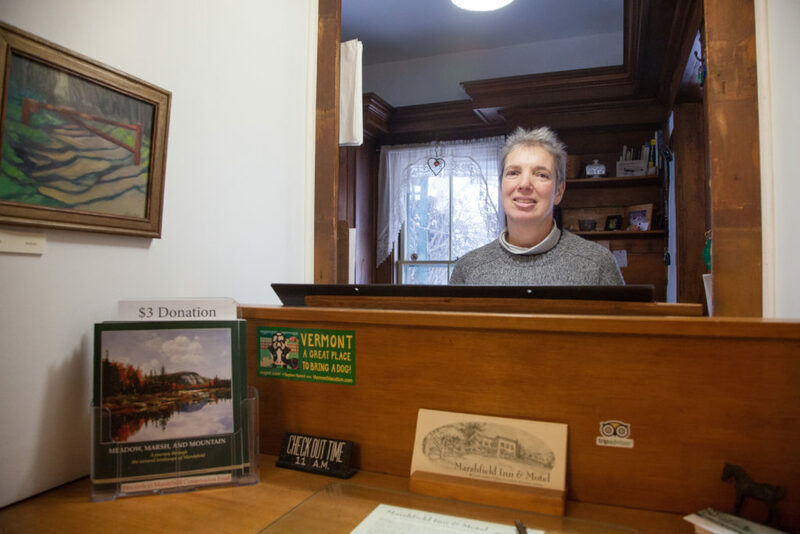 Immediately after Green Mountain announced that it would close at the end of the academic year, Jeff King, the chair of the local select board in Poultney, wondered what the impact would be to area businesses and college staff who own homes in town. He said he expects it will take time to understand the implications. In Springfield, Kentucky, St. Catharine College closed in 2016, taking with it between 500 and 600 students and 118 full-time jobs. A large portion of town’s population was “suddenly gone,” according to Daniel Carney, executive director of the Springfield-Washington County Economic Development Authority. “You’re talking about a trickle-down effect to all kinds of small businesses, to restaurants, to housing,” he said. Rental housing took a particular hit from the closure, Carney said. Another blow was to the workforce. The small-town college was a local pipeline for health care and education professionals, who can be difficult to recruit in rural areas, he said. St. Joseph’s College, which closed in 2017, brought nearly 1,000 students annually to the small city of Rensselaer, Indiana, which has fewer than 6,000 residents. The closing cost the community somewhere between 180 and 200 jobs, said Mayor Stephen Wood. It also took an immediate toll on the revenues of city-owned utilities, Wood said. Private, nonprofit colleges in smaller communities especially are often major employers and can drive economic activity by bringing in students who shop and eat locally, said Hal Hartley, senior vice president of the Council of Independent Colleges. “For a small college in a small community, that can really make a big difference,” Hartley said. 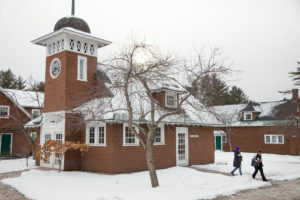 In Vermont, many locals said they were unfazed by Goddard’s recent problems, confident that the small college will rally, as it has done in the past. Goddard President Bernard Bull, who took the job after the school had been put on probation, is optimistic it can stay in business by maintaining the enrollment needed to meet tuition revenue targets. He said he also hopes to increase Goddard’s endowment, which he said would provide stability. “There would be far less concern about financial ups and downs,” Bull said. But some, like Cote, the farmer, still are worried. This story about college closings was produced by The Hechinger Report, a nonprofit, independent news organization focused on inequality and innovation in education. Sign up for our higher education newsletter here. Growing up, college wasn’t part of his world. Did he beat the odds? Elizabeth Hewitt is a freelance journalist who previously covered Washington D.C. and criminal justice for VTDigger. She grew up in central Vermont and holds a graduate degree in magazine journalism from New York University.